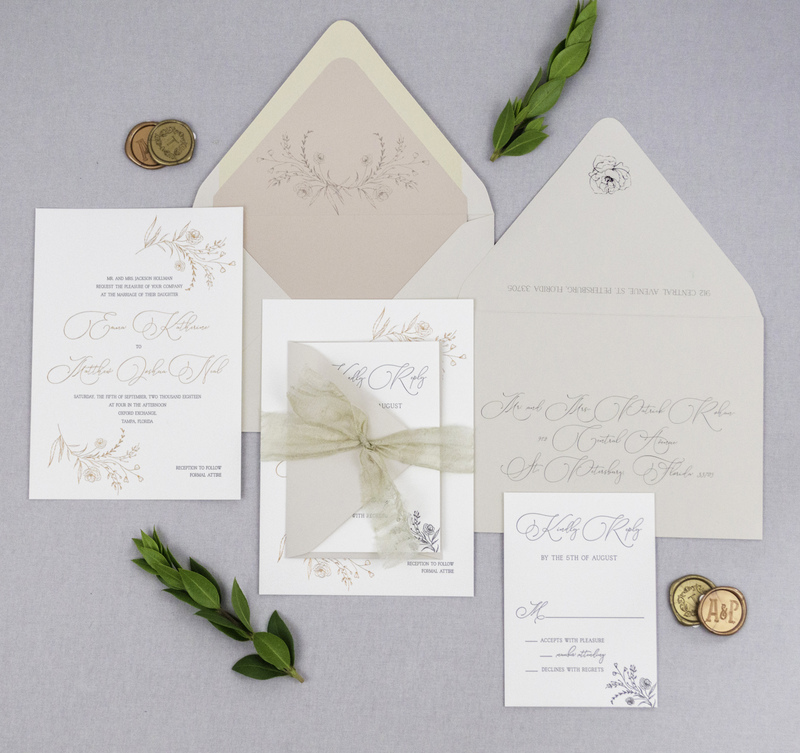 The Acacia was inspired by the delicateness of nature. 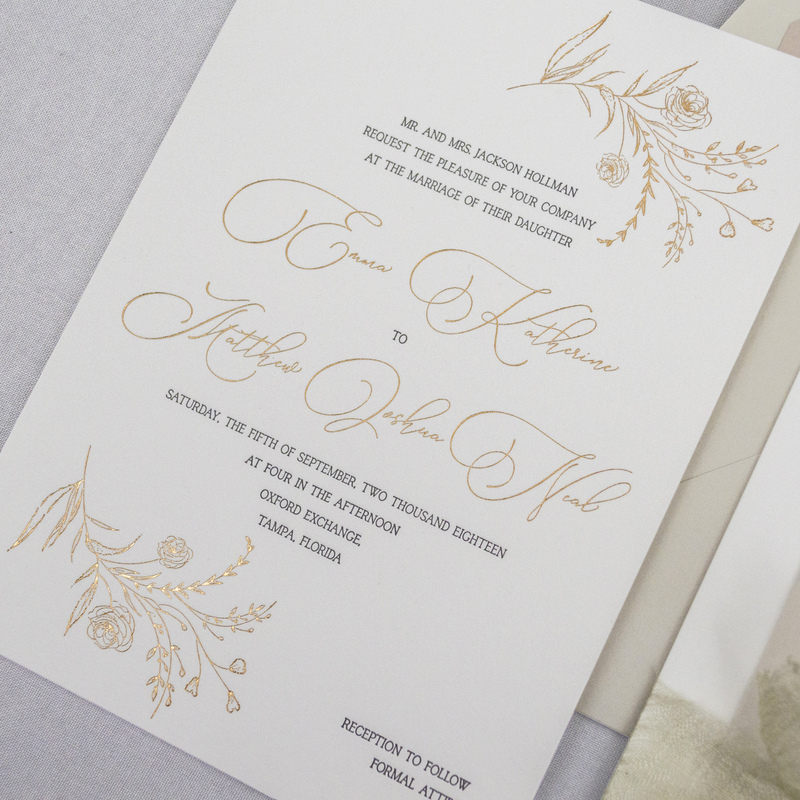 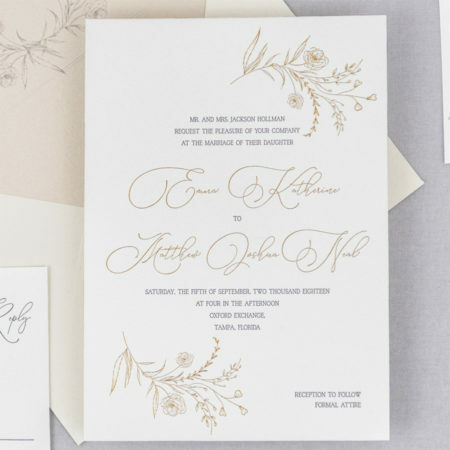 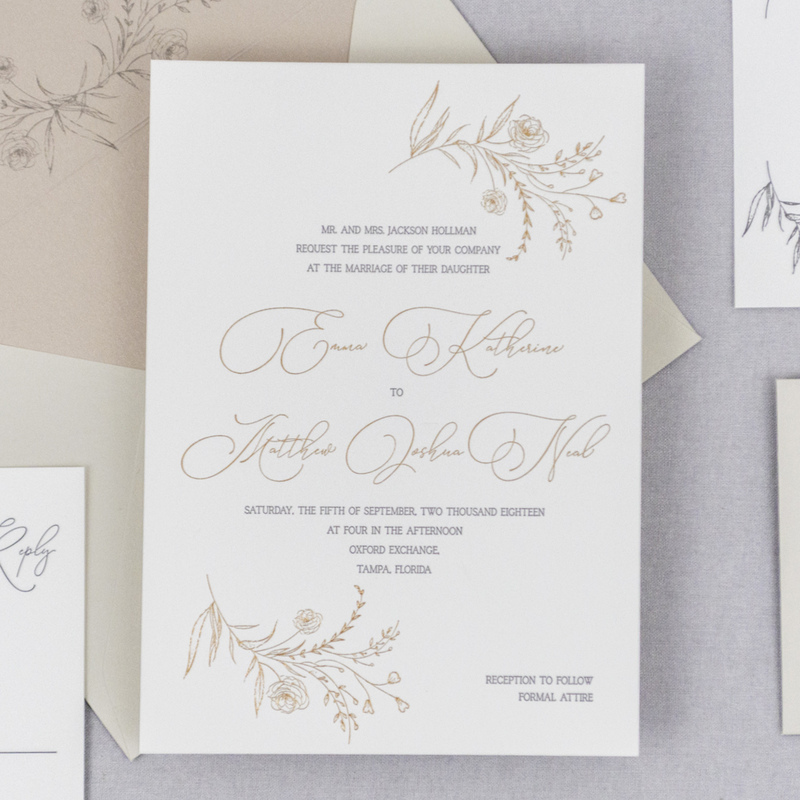 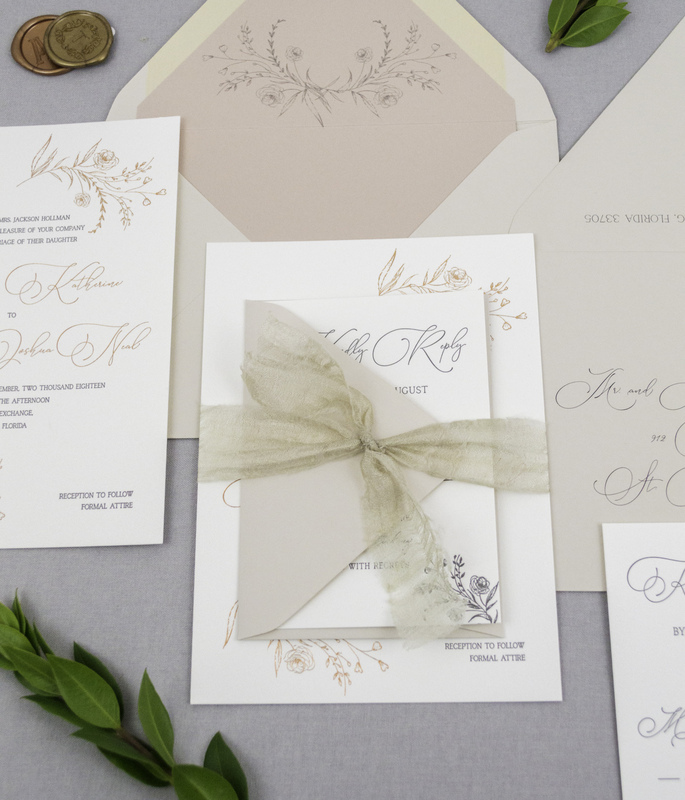 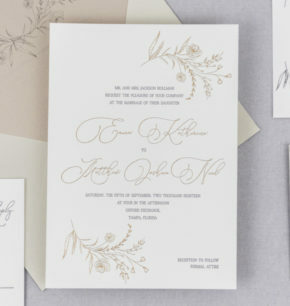 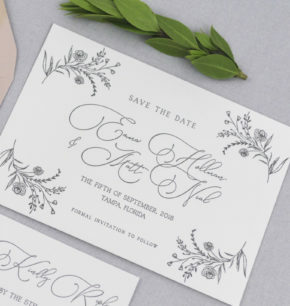 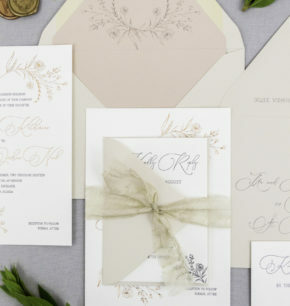 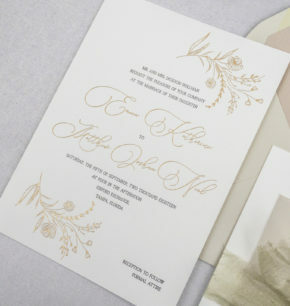 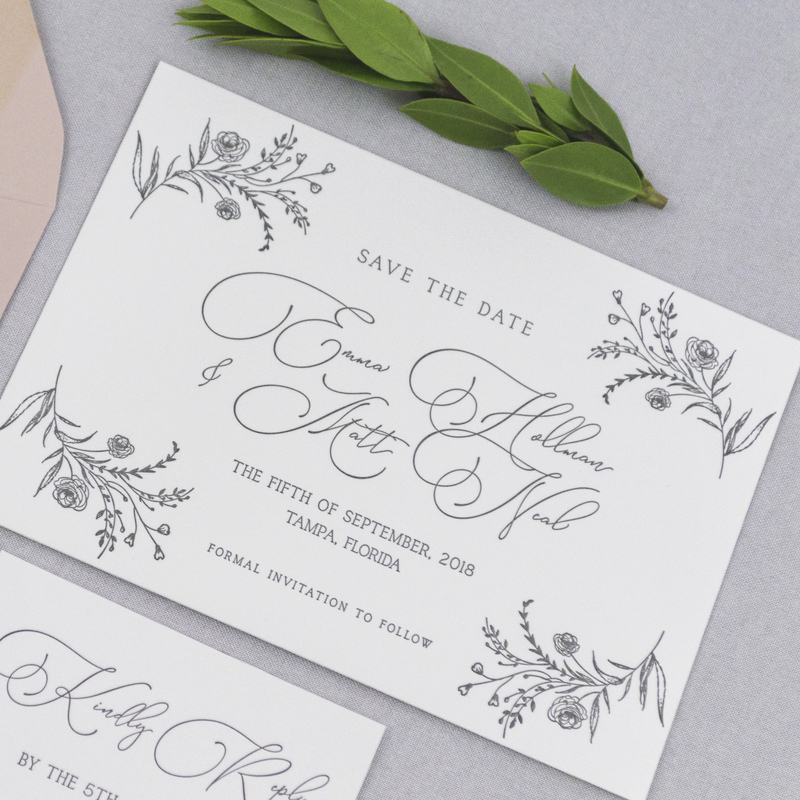 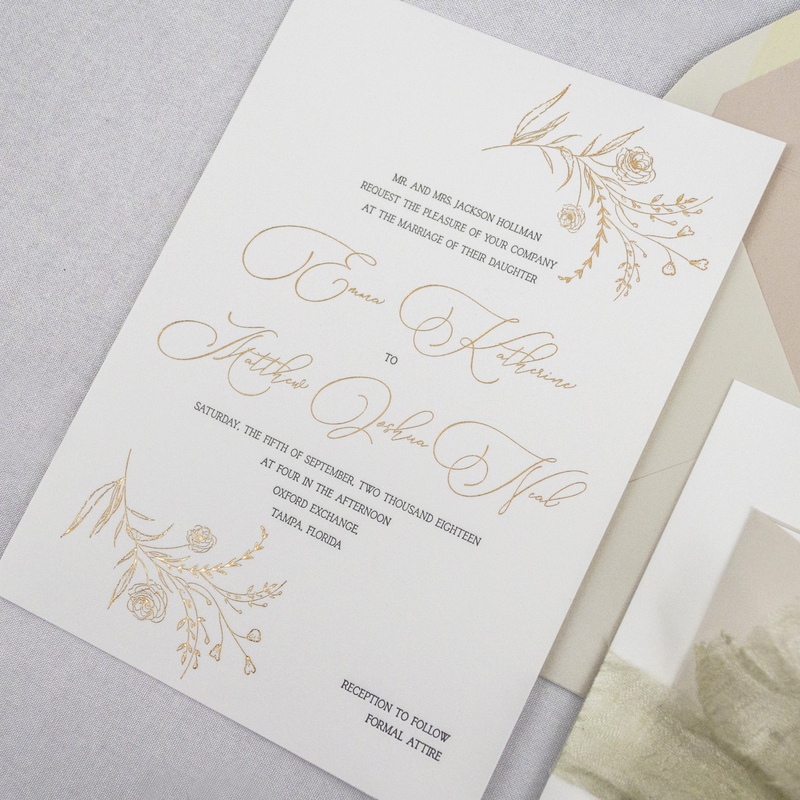 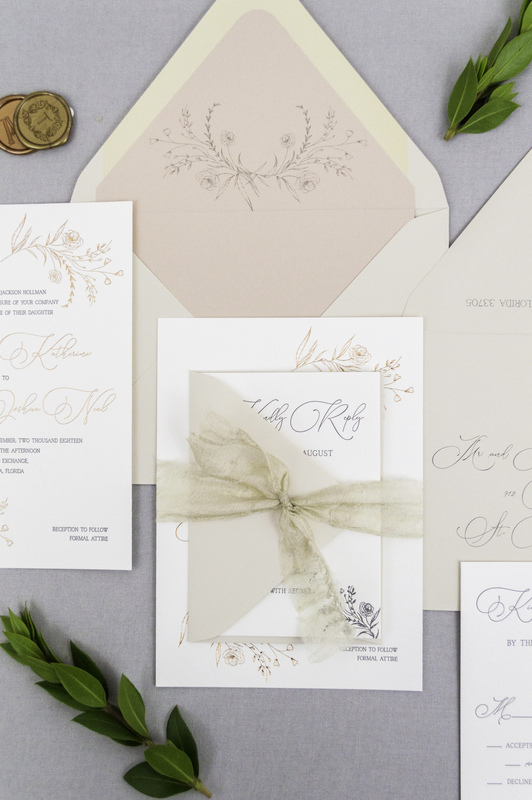 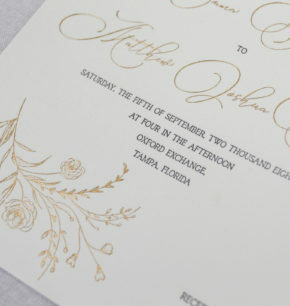 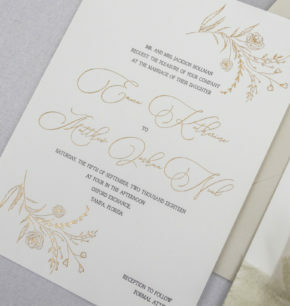 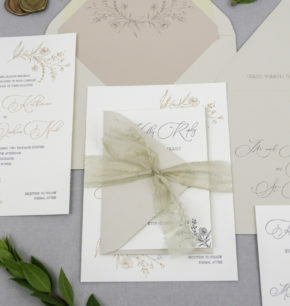 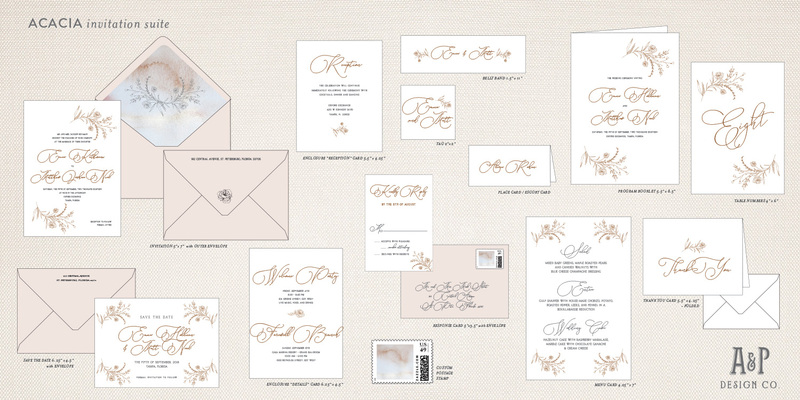 Hand drawn florals & fauna encompass the beautiful scripted font. 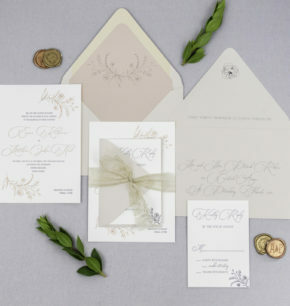 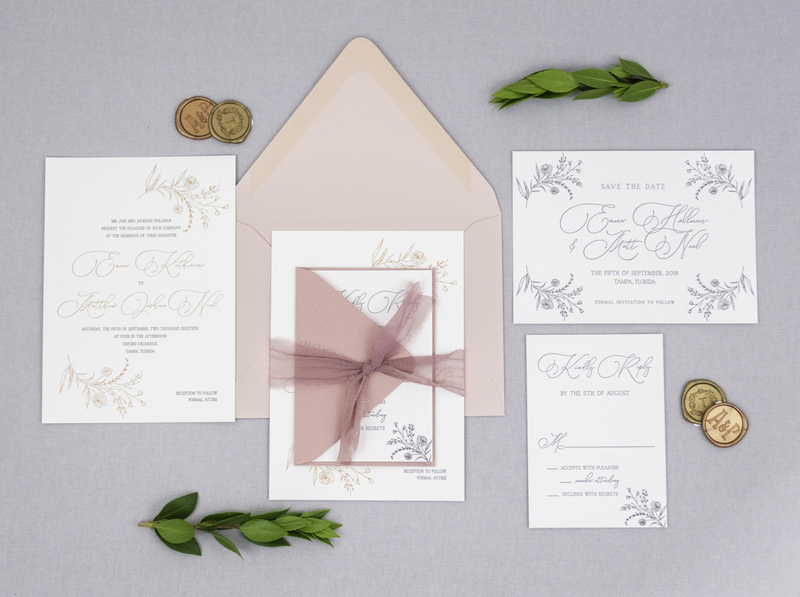 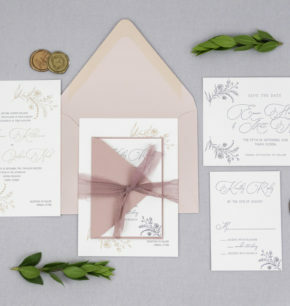 This suite is versatile for any wedding style. 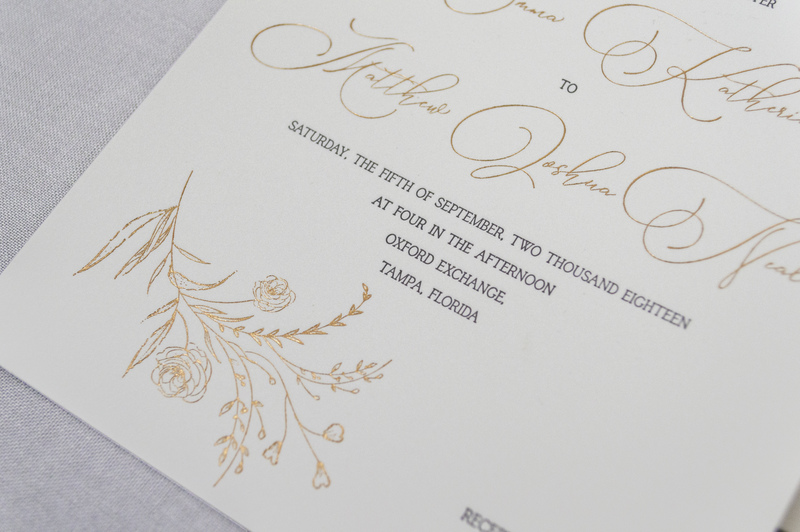 SIZE SHOWN : 5" x 7"